The average life span for Americans is being shortened because of the opioid epidemic in the U.S. Federal health officials have stated this drop in life expectancy is alarming, as this decline has occurred for the second year in a row because of fatal drug overdoses. If this decline continues, we will see a declining life expectancy that hasn’t happened since the influenza pandemic of 1918. The United States hasn’t gone through a three year streak of lowering life expectancy rates since that pandemic, which was a century ago. In 2016, the average life expectancy for an American was 78.6 years old. In 2016, drug overdose deaths also increased by 21%, which is the main cause for the decrease in the average life expectancy. The sheer magnitude of fatal drug overdoses are alarming, reaching thousands of deaths per year— a number that outweighs the yearly death rate of the HIV epidemic in the mid 1990s. The rate of drug overdose deaths have impacted the age that Americans are expected to live, for three years and counting. These rates greatly outweigh death rates from cancers, heart disease, suicide rates and other death rates. The opioid crisis is extremely influential, not just for those that the drug effects first-hand, but for the entire nation. Opioid addiction has reached a national scale of severity, as opioid overdoses account for the downward shift in our country’s overall life expectancy average. Drug overdose deaths have escalated at a very scary rate. Between 1999 and 2017, drug overdose deaths increased by over four times. Adults ages 25-54 had the highest rates of death by drug overdose in 2016. The death rates between 2015-2016 have been increasing for younger age groups as well. The Centers for Disease Control and Prevention reports that drug overdoses were the leading cause of injury related deaths in the United States. “Life expectancy is declining because more young people are dying, while older people are living longer,” states Lindsey Vuolo of the National Center on Addiction and Substance Abuse, “Life expectancy of youths should not be shrinking, especially not in the United States, and that is attributable to overdoses.” Countless Americans have admitted to opioid misuse, according to public health surveys. Many Americans who have an opioid addiction developed the addiction after being prescribed to opioid painkillers for a short term solution. Prescribed opioid painkillers then became a long term need, as tolerance and dependency grew. There is no shame in having an addiction, all you need to do is reach out for help. More Americans than you could ever imagine are struggling with an opioid addiction, hence the current opioid crisis. The states that have been hit the hardest by the opioid crisis are also the states with the highest drug overdose rates. These states include: West Virginia, Ohio, New Hampshire, the District of Columbia, and Pennsylvania. The opioid crisis continues to be amplified by synthetic opioids circulating the country, like fentanyl and carfentanil. These synthetic opioids are extremely potent, and have been greatly contributing to the amount of opioid overdose deaths. What we need to be aware of is that overdose deaths are completely preventable. Our life expectancy is dropping and will continue to drop unless the United States takes action against the opioid epidemic. 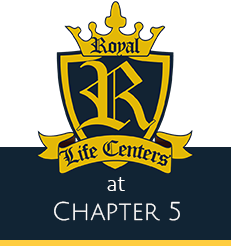 Royal Life Centers at Chapter 5 is experienced in treating opioid addiction. Our treatment options were designed to follow guests from medical detox, guiding them through the stages of recovery. We need to start treating addiction as the epidemic that it is, and make addiction treatment more widely available. Drug or alcohol addiction is treatable, a comprehensive treatment program makes addiction recovery possible. For a treatment center near you, please follow this link. Royal Life Centers at Chapter 5 also provides helpful resources for family members, to help them through the recovery process of their loved one. 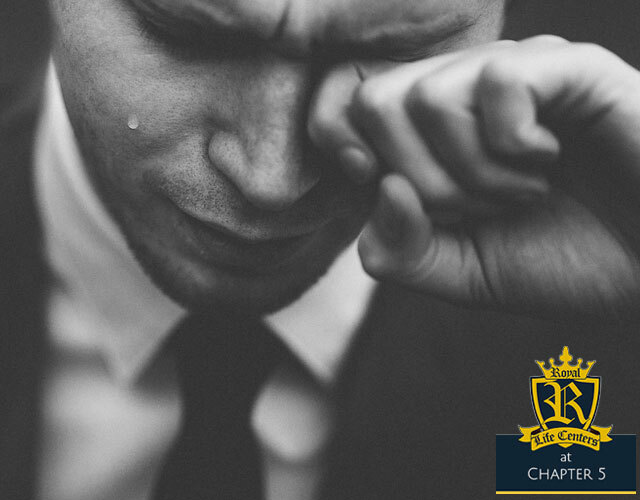 Family members can rest assured, knowing that Royal Life Centers at Chapter 5 is treating their loved one with care, using proven effective methods of addiction treatment and only the best practices in the industry. Our focus on treating mental health using medication and behavioral therapies also ensures optimal health and a smooth recovery for our guests with a dual diagnosis. If you or someone you know is struggling with a substance use disorder or opioid addiction, please call our addiction specialists toll free at (877)-RECOVERY or (877)-732-6837. Our team is available to speak with you 24/7. Because We Care. Thompson, Dennis. “U.S. Life Expectancy Drops as Opioid Deaths Surge.” News For Healthier Living, Health Day, 21 Dec. 2017, consumer.healthday.com/bone-and-joint-information-4/opioids-990/u-s-life-expectancy-drops-as-opioid-deaths-surge-729584.html.